Our View with Tim and Jill | Brave people following dreams and making the world better. 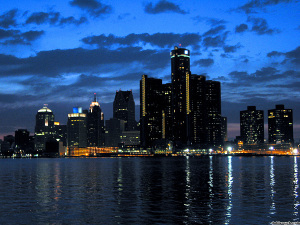 One of the biggest misconceptions is that Detroit is a dying (or dead in some people’s opinion) city. This couldn’t be further from the truth. Although I admit, Detroit is far away from the glory it once held over 50 years ago, this city is quickly transforming into an amazing place full of art, great people, fun experiences, and fascinating history. Everyone knows about the current situation of Detroit. From Kilpatrick to City Council, from water shut offs to bankruptcy, its easy to fall into the idea that Detroit is a dying city. What people don’t automatically think of is the rebirth of the city. Yes, it is not the Detroit that was around in the 1950s and 1960s, its different, and in a way, better. 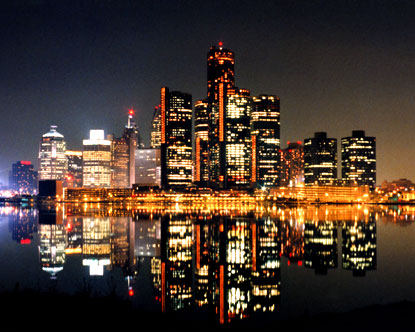 Anyone who makes a trip to Detroit will of course notice how large the city is. The City proper is quite large (142.9 sq miles) and is mostly residential. These residential areas were and are the areas that were the hardest hit over the last 50 years. All the factors combined from the Race Riots and “White Flight” in the 1950s, 1960s and 1970s, to the corrupt politicians from Coleman Young to Kwame Kilpatrick, it is also the areas that are seeing the greatest change over the recent year. The current mayor of the city of Detroit, Mike Duggan, has began several programs that are designed to help revitalize the city, beginning with its residential neighborhoods. He has helped restructure the city’s police department to help combat gang violence and drugs, began city auctions of abandoned homes to help bring people back into the city as well as renovate those homes, replaced all city lights to provide a safer and better lit city at night, and fixing a broken bus line, according to the Detroit Free Press. Duggan has been Mayor of Detroit since the beginning of 2014 and while there are some critics saying that he hasn’t done much, it is important to remember that Mike Duggan is combatting 50 years of ills within the city. Just within the last 7 months, the city has shown great progress. The DIA was founded in 1885, the museum was originally located on Jefferson Avenue, but, due to its rapidly expanding collection, moved to a larger site on Woodward Avenue in 1927. The new Beaux-Arts building, designed by Paul Cret, was immediately referred to as the “temple of art.” Two wings were added in the 1960s and 1970s, and a major renovation and expansion that began in 1999 was completed in 2007. The museum covers 658,000 square feet that includes more than 100 galleries, a 1,150-seat auditorium, a 380-seat lecture/recital hall, an art reference library, and a state-of-the-art conservation services laboratory. The DIA’s collection is among the top six in the United States, comprising a multicultural and multinational survey of human creativity from prehistory through the 21st century. Lets now move down Woodward Ave into the New Center/Midtown Districts. Much like and equally unlike New York City, Detroit is split up into smaller areas. New Center and Midtown are adjacent to each other along Woodward Ave. The heart of New Center was developed in the 1920s as a business hub that would offer convenient access to both downtown resources and outlying factories. Some historians believe that New Center may be the original city’s edge. The descriptor “New Center” derived its name from the New Center News, an automotive-focused free newspaper begun in 1933 that continues to operate under the name Detroit Auto Scene. From 1923 to 1996, General Motors maintained its world headquarters in New Center (in what is now Cadillac Place) before relocating downtown to the Renaissance Center. Midtown is located between New Center and Downtown. The Midtown area is a general mixed-use community area of neighborhoods containing successive waves of development that have transformed the area multiple times since it was first platted. The first portion of what later became Wayne State University was the Detroit Medical College, which was founded in 1868. The school of education was begun in 1881. In 1896, Old Main was built as Detroit’s Central High School. College classes were added in 1913, and these Liberal Arts classes evolved into Detroit Junior College in 1917. The school began offering four-year degrees in 1923 and graduate courses were added in 1930. In 1933, the previously disparate colleges were united under one administration into Wayne University. In 1956, the school was renamed Wayne State University. Midtown is a wonderful place to see theatre at the Hilberry and the Bonstelle. 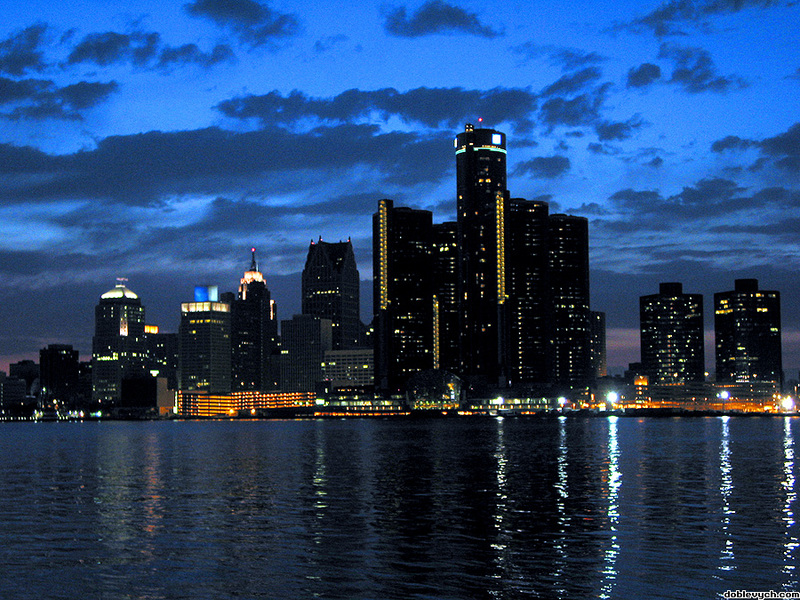 Lets now move into the life-force of Detroit, Downtown. This has to be my favorite parts of the city. You can reach any part of Downtown by the People Mover, the monorail public transportation system Detroit has. Let begin with the Renaissance Center or the RenCen. The “City within a city” was built in 1977 on the Detroit River and it is know as the building the houses the world headquarters of General Motors. This building also houses one of the Nation’s tallest hotels, the Detroit Marriot. This building is the iconic building that people think of when thinking of Detroit, much like the Sears Tower in Chicago or the Empire State Building in New York. A short ride from the RenCen is Greektown. Greektown is an amazing block in Detroit that features incredible restuarants (the original Fishbones) to the world famous Astoria Pastry Shop. A trip to Greektown is never complete without a full pulls at the Greektown Casino’s slot machine! Let’s jump back on the people Mover and head to Campus Martius. Campus Martius Park is a re-established park in Detroit. After the 1805 fire, Campus Martius was the focal point of Judge Augustus Woodward’s plans to rebuild the city. It is where the “point of origin” of Detroit’s coordinate system is located. Seven miles (11 km) north of this point is Seven Mine Road; eight miles (13 km) north is Eight Mile Road, and so on. The point of origin is marked by a medallion embedded in the stone walkway. It is situated in the western point of the diamond surrounding the Woodward Fountain, just in front of the park’s concession building. The park is located at the intersection of Woodward and Michigan Avenues, four blocks south of Grand Circus Park. The original park covered several acres and was a major gathering area for citizens. The park was lost in the 1900s as the city’s downtown was reconfigured to accommodate increased vehicular traffic. Hart Plaza, along the riverfront, was designed to replace Campus Martius as a point of importance. But as Hart Plaza is a primarily hard-surfaced area, many residents came to lament the lack of true park space in the city’s downtown area. Located across from the new Compuware headquarters. Lets end our trip on the river. Hart Plaza is located more or less on the site at which Antoine Laumet de La Mothe, sieur de Cadillac landed in 1701 when he founded Fort Pontchartrain du Détroit, the settlement that became Detroit. Now it is the location to such festivals as DEMF (Detroit Electronic Music Festival), Motor City PRIDE, Detroit’s Hoedown and several other city festivals. When there is not a festival going on, it is a beautiful place to visit to relax and see a great view of Canada from across the river. Detroit is an amazing and beautiful city that is worth exploring. It satisfies everyone’s interests from music, to art. From food to history. If this bog has interested you, and I hope it has, please visit the city’s website to plan your trip. Stay at one of the many beautiful hotels within the city, see a play, eat amazing food, take in some beautiful art and see a city in which people are proud to call home. Our View with Tim and Jill interviews Brian Centrone on his new book, Erotica – Seven Short Stories for the Seven Sins. 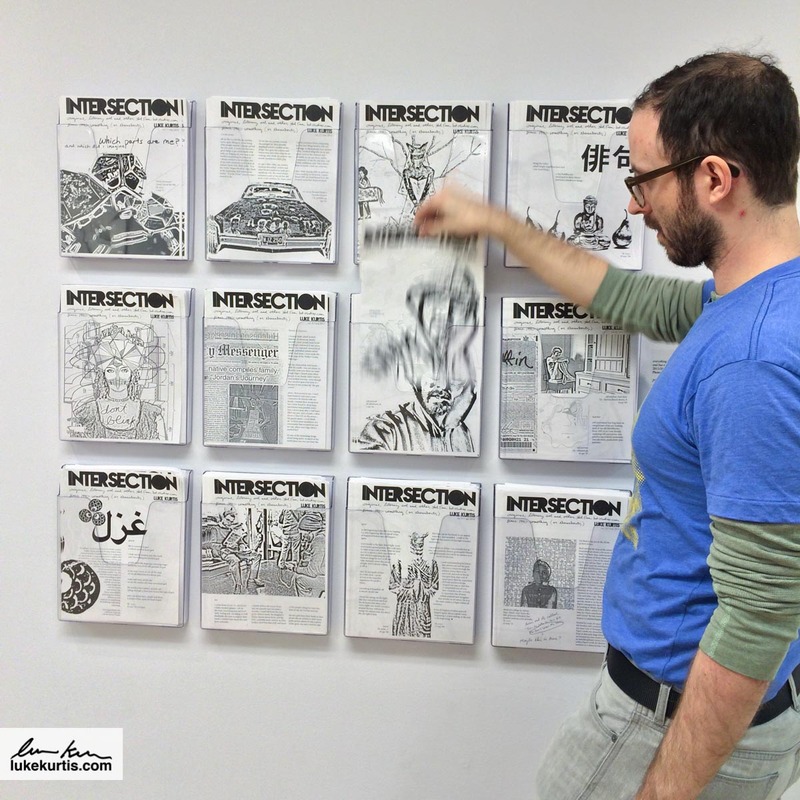 Brian discusses his inspiration in compiling these seven short stories. In part two of this interview, Brian finishes discussing his collection of stories with a discussion of Getting What He Wants, Chubstr and Boracay. Brian, Tim and Jill also have a discussion on how dating in the 21st Century can effect our own self-image. Take a listen and follow us on iTunes and Stitcher or at the link below! Enjoy!